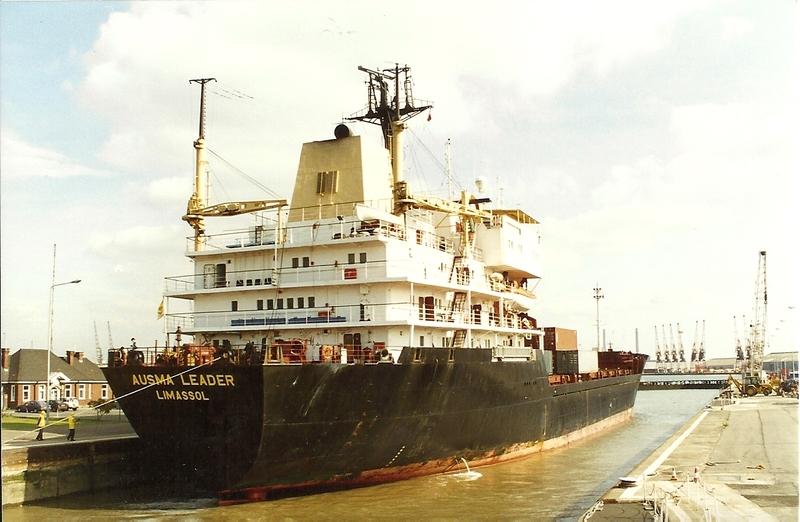 The AUSMA LEADER entering the Tilbury locks. 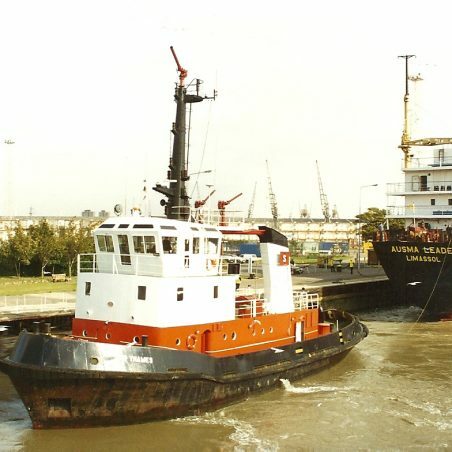 She is assisted by SUN XXVI and SUN THAMES Any info RWJ ? 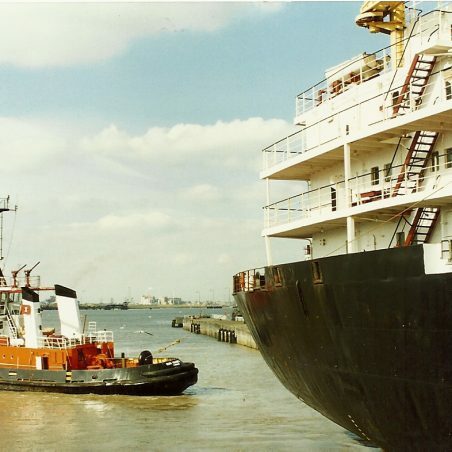 thanks for the update on the recent ship photographs. 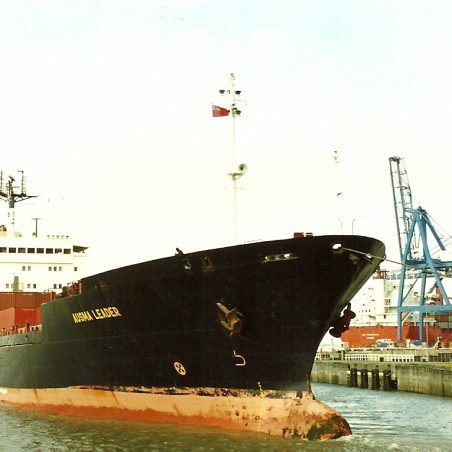 Will you PLEASE make contact via ANNIE as she has my new e mail address JACK. 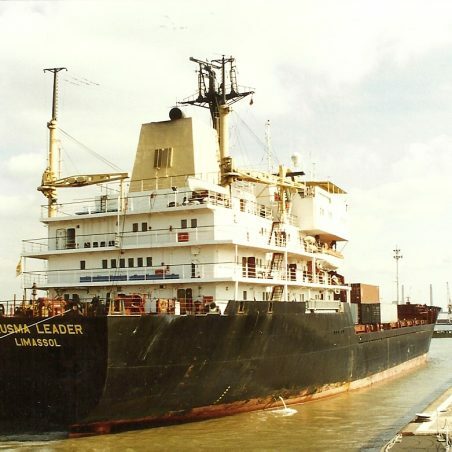 The containership AUSMA LEADER was built in 1982 as the Russian-owned SIMON BOLIVAR. 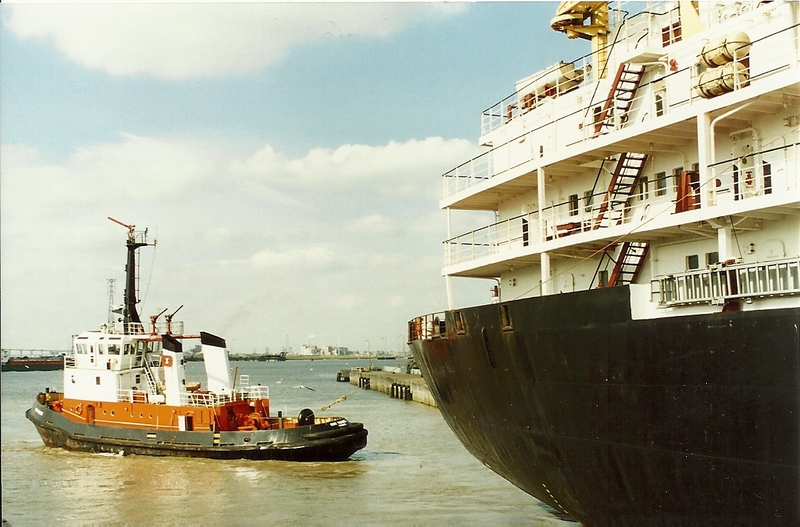 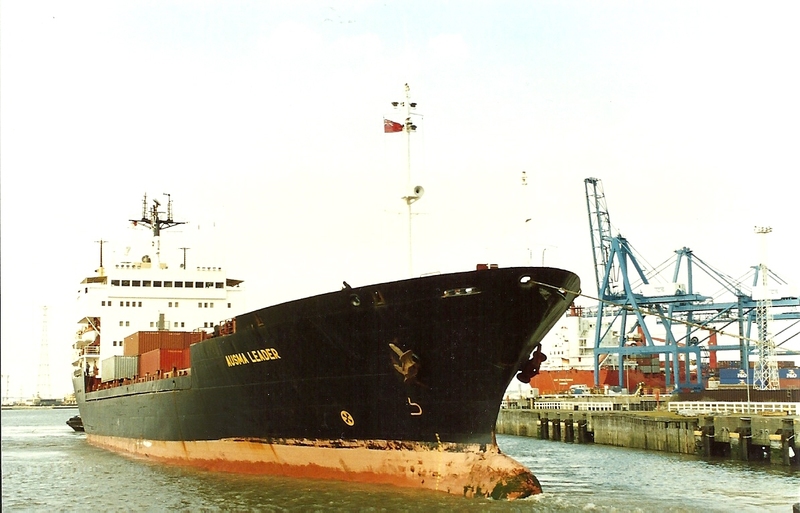 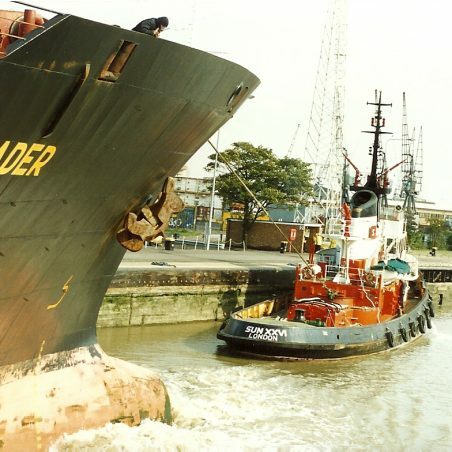 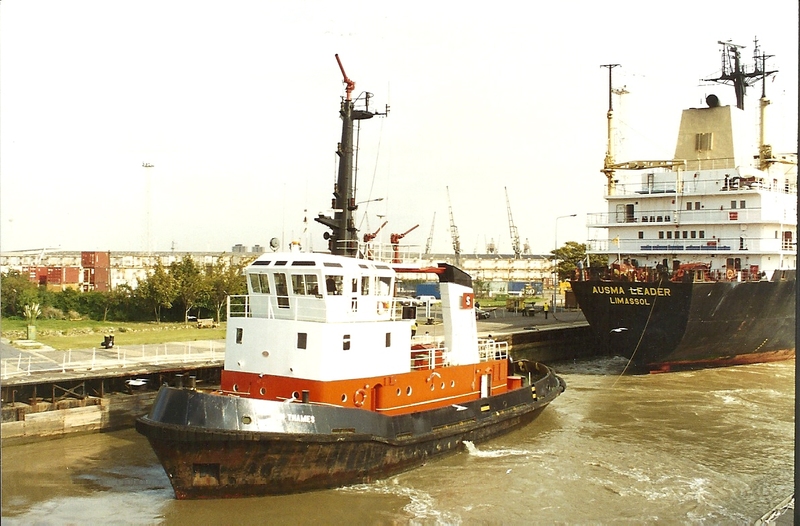 It had several changes of owner and name during its 27-year career and during 1994-97 was named AUSMA LEADER, owned by Starport Shipping Co Ltd and managed by Interorient Navigation Co Ltd of Limassol, Cyprus. 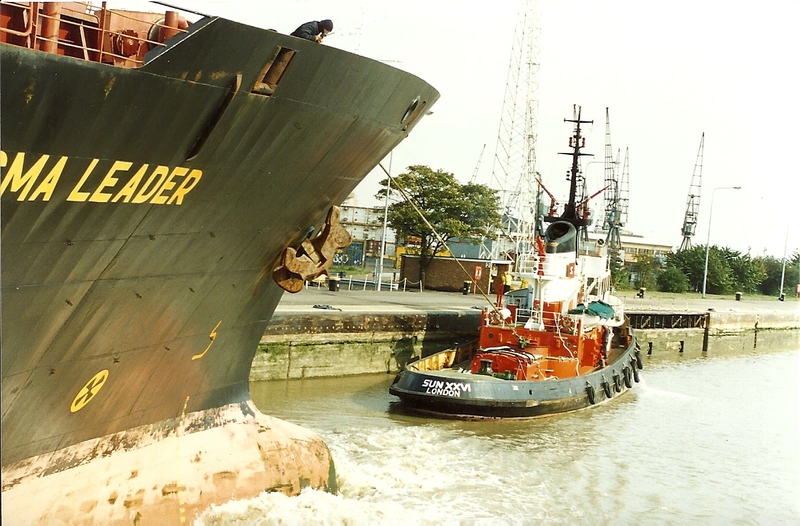 Its final name was LEADER (from 2001) and as such it was broken up at Alang, India, in 2009.